Just a few ago, the Garching-based M division gave us a glance at a series of F90 M5 models painted by the BMW Individual program. Among them was the always welcome and tasteful Ferrari Red. The color is available an extra charge through the Individual catalog and has been often featured on other BMW builds. 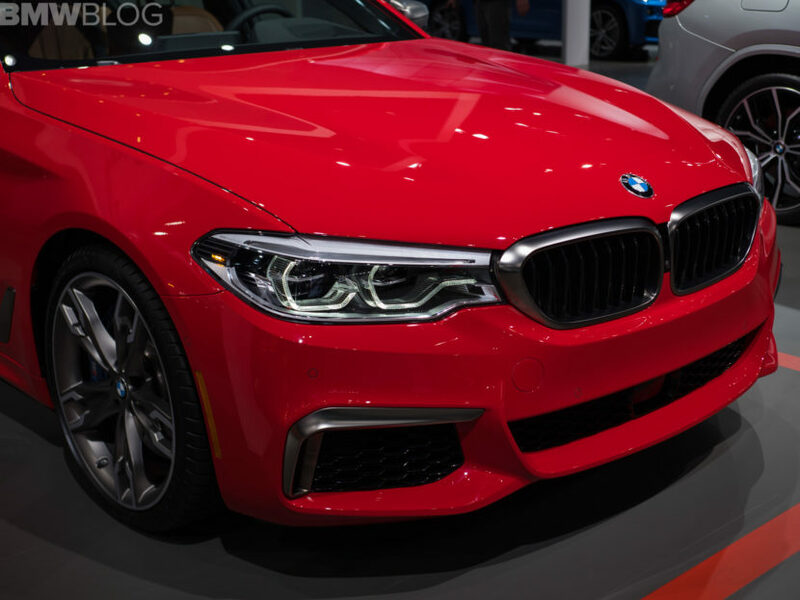 Now the very same Ferrari Red lands in New York City for the annual auto show and it’s been featured on the G30 M550i. The 5 Series tuned by the M Performance Automobiles engineers has been, until recently, one of the fastest production series BMW you can buy today. Over the course of twelve months, the M550i has given us a taste of what the new M5 has in store for its customers. 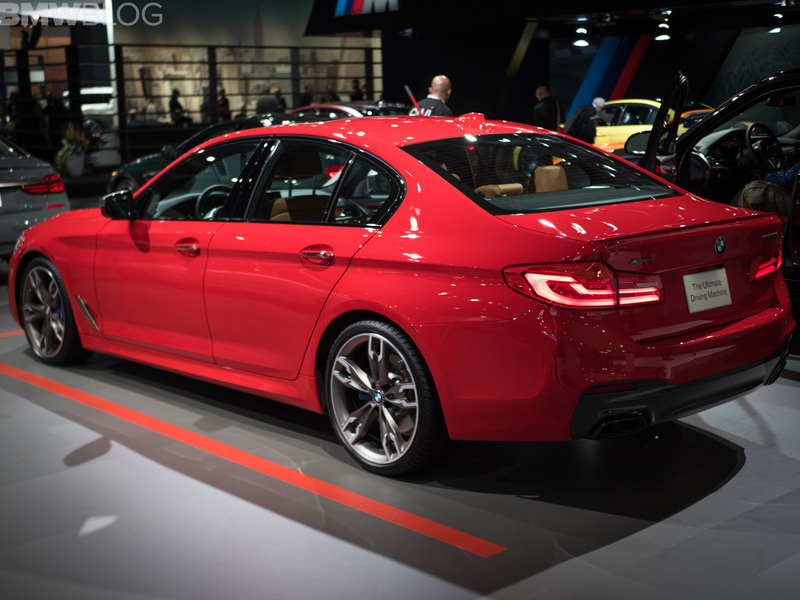 Packing a new, M Performance-tuned 4.4 liter V8 — featuring two twin-scroll turbochargers, a High-Precision injections system, Valvetronic valve lift and Double VANOS variable cam timing — the BMW M550i xDrive develops 456 hp and 480 lb-ft of torque. The latter of which comes in at an incredibly low 1,800 rpm. All of that power and torque is sent through an eight-speed automatic Sport Steptronic gearbox to all four wheels, via xDrive. 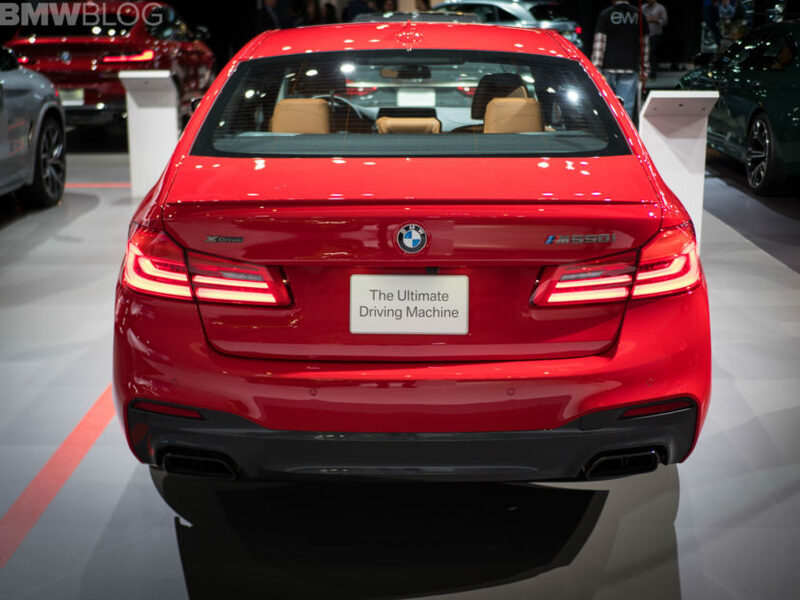 Thanks to that power and torque, the BMW M550i xDrive is capable of getting from 0-60 mph in under 4.0 seconds. That makes it the fastest non-M BMW 5 Series ever made. In fact, the only BMW 5 Series to have claimed 0-60 mph time faster is the BMW M5 Jahre, which claims 3.9 seconds. 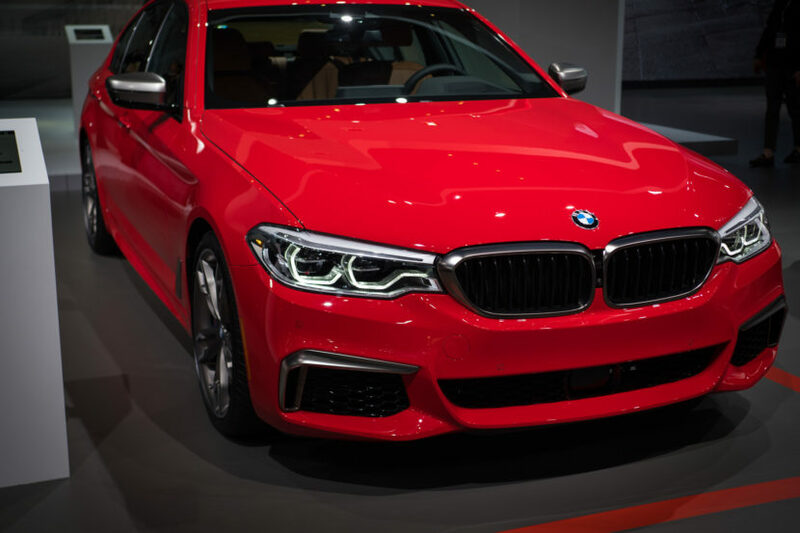 Now add all that raw power to the beautiful red shade and this M550i becomes a must in everyone’s garage. Okay, maybe that’s far fetched, but we wouldn’t mind having one in our own storage. Are they really calling it Ferrari Red? Blasphemy! Blasphemy? You should say “it’s an honor”! Ferrari is one of the most respected automakers in the world!